PEIE Design, Engineering, Manufacture, Shop-test, Supply, Erection & commissioning 3rd generation Transfer Car, Winch Trolleys in TPM methodology with following customer delighting features. We control cost by work hard. ♣ Power-cable Reeling drum motorised Trolley. Motorised, Centre feed type, make with cable guide and cable clamping device. · Design/development of process flow & layout, Selection of equipments. · Manufacture, Shop test & Supply. · Detailed Engineering with Civil Foundation details. 1) All Civil foundation, rail way lines. 1) Civil clearance for equipment erection. 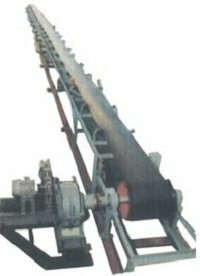 PEIE Design, Engineering, Manufacture, Shop-test, Supply, Erection & commissioning 3rd generation Mobile Sreen/Crusher in TPM methodology with following customer delighting features. We control cost by work hard. The intention of this supply is to achieve the minimum criteria for continuous segregation of conveyed material in three different sizes as and where require. 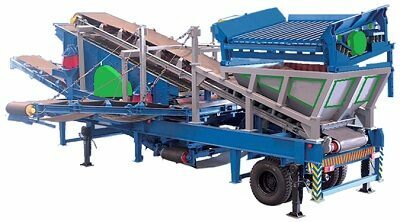 PEIE Double Deck Mobile Screening system 144 m2 without stock pile area. 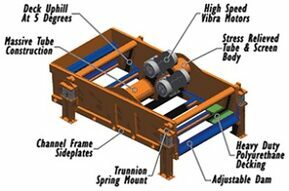 Feed material to be fed on grizzly vibro-feeder through conveyor or payloader. 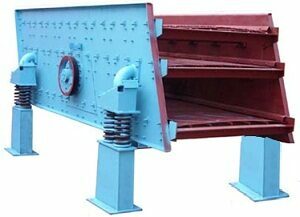 Material to be conveyed by Conveyor#1 through 3.5 m3 hard lined inner and outer ribbed hopper.